There are many tools designed to create customer satisfaction and engagement with the aim of building ongoing customer loyalty, from rewards programs to one-click ordering to personalized discounts. But the strongest emerging trends in consumer loyalty suggest that successfully building loyalty must be part of a large, overarching strategy rather than a disparate set of programs and marketing approaches. Increasingly, customers want convenience, positive experiences, personalization, engaging stories and corporate policies that make them feel like valued members of a community. Technology is increasing the ability of markets to increase loyalty, as well. Overall, researchers are finding, a strategy that focuses on removing inconvenience and effort from the customer experience to provide a quick, enjoyable and valuable experience is the key. The prime driver of customer loyalty is removing any kind of pain from the user's experience, from shopping to purchasing to delivery, service and even product returns. “Delighting customers” in this context moves beyond simply tickling the customer's fancy one time, and working to make the entire user experience easy, fast and hassle-free. This demands getting out of separate silos for online vs. brick-and-mortar transactions and choreographing omni-channel experiences where web, mobile and in-person experiences are working in concert to give consumers more control. This requires getting away from building experiences and transactions in single channels to focusing on the overall user experience. No matter how slick a mobile app might be, if delivery, support or returns are troublesome, user loyalty will be destroyed. Instead, the approach should be to design the strategy first, then integrate the appropriate channels to support the strategy. A simple example of the omni-channel approach is in-store pickups and returns of items order online or through apps, or features that allow a consumer to locate a product in a local store to facilitate same-day delivery. An extension of this idea is the app from luxury retailer Nordstrom, which allows customers to add items to an online wish list, then pushes when the customer is near a store and can shop and purchase. More data means more personalization – and more loyalty – thanks to evolving data technology. 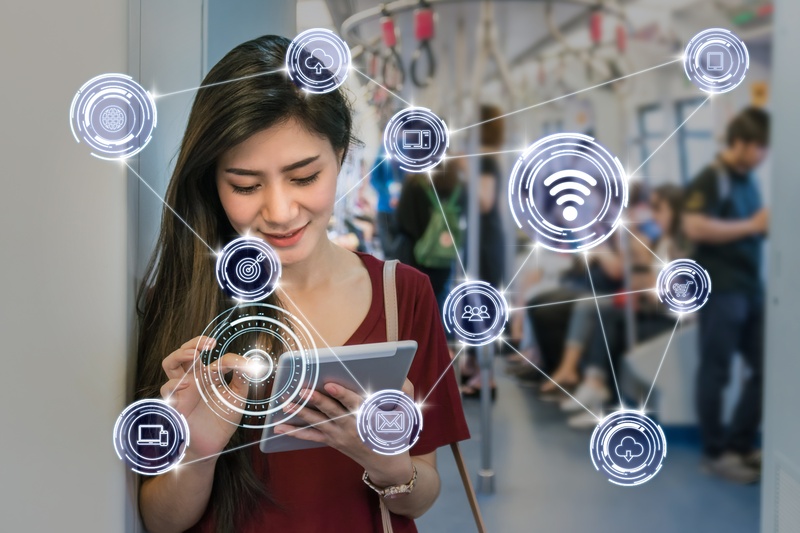 With the advent of artificial intelligence, true customer personalization finally may be coming within reach, in ways that can speak directly to individual consumers in terms of content and context. Customers clearly indicate that they want effective and relevant personalized messages, services and offers, but that goal has been elusive. Consider that less than 10 percent of top tier retail brands say they’re highly effective at personalization, with areas such as legacy technology and an inability to glean useful insights from customer data proving to be major stumbling blocks. The ineffective nature of previous attempts at personalization have resulted in 91 percent of consumers unsubscribing from email notifications, according to Salesforce and, according to Kahuna, 60 percent of consumers opting out of mobile push notifications. Artificial intelligence and machine learning offers a chance to succeed by creating focused cross-channel engagement efforts that can move from mass-audience messages aimed at crude market segments to “extreme personalization” that targets a specific audience of one. With automated AI efforts, the parsing of data can be automated while allowing marketers to test multiple variations that can produce instant feedback and further personalization. Consumers increasingly look to do business with companies that reflect their own beliefs and values, an attribute that creates a sense of community and enhanced loyalty. Nearly 60 percent of consumers surveyed by Edelman responded that their purchasing decisions are based on their beliefs, and 55 percent of shoppers responding to a Neilsen survey said they'd be willing to pay extra for products and services from companies committed to positive social and environmental outcomes. While some values may be blatantly political – Patagonia directly criticized President Donald Trump's executive order that cut the size of national monuments in Utah with a homepage headline that read, “The president stole your land” – but other values can center on less divisive actions, such as the promise of TOMS shoes to donate one pair of footwear for every pair purchased, which has produced 35 million pairs of donated shoes. 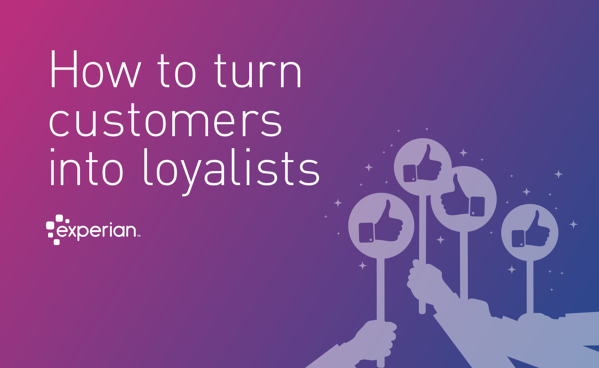 Want consumers to become so loyal they fall in love with your company? Then focus on telling them a compelling story. In a 2014 Harvard Business Review article, neuroeconomist Paul Zak found that the love hormone oxytocin – also called “the trust hormone” – is released when we are with people we love and trust, when we hug, and when we listen to or read stories. Rather than just branding your company history as “our story” and giving users a dry recitation of fact, making the effort to craft truly compelling stories that can connect is far more effective. A study of more than 1400 marketing campaigns submitted to the UK-based Institute of Practitioners in Advertising found that appeals based on logic were rated as 16 percent effective. Emotional appeals were rated at 31 percent – almost twice as effective in connecting with customers. An effective storytelling approach isn't just a set of anecdotes about satisfied customers, but an overarching approach that connects your brand and philosophy, breaks through the cluttered communication environment, and connect your products, services and customers with your company's identity. Without a story, products are simply commodities that are forced to compete on features and price with no ability to create loyalty. With news of data breaches and hacks in the news every month, coupled with concerns about privacy and online manipulation from bots and scammers, consumers understandably are nervous about how the companies they do business with handle their data. But customers also increasingly want personalized service and benefits that play to their preferences. A recent study from Oracle found that while “57 percent of 15,607 consumers surveyed from four major global regions want instant one-click checkout that can only be enabled through creation of a payment profile on an e-commerce site, 67 percent stated they did not want to set up such account profiles.” Even something as simple as a loyalty program creates concerns, with 56 percent of those surveyed saying they feared their points program would be hacked, and 7 percent suspecting they already had been defrauded in a loyalty program. Researchers found that when it comes to sharing their data, consumers first need to value the benefits they'll receive from the brand, to feel that their data will be handled carefully, and that they can exercise control over exactly how much of their personal data is shared. Providing immediate answers through chat bots and on-site chat channels combines several trends in promoting customer loyalty. First, it can solve problems to make transactions easy and painless, creates a sense of engagement and ultimately is as personal as a one-on-one real time interaction. Chat technology also cuts through other message clutter. Finally, chat bots leverage automation and artificial intelligence to craft an individualized customer service encounter. Retailers like North Face, H&M, Taco Bell, Uber and Domino’s, use chat technology for everything from booking on-demand services to matching products with customer preferences. Unlike mass-market messages, online pop-ups or other messaging approaches, chat provides information the customer specifically requests. In terms of satisfaction, live chats are top-rated, with 73 percent of customers satisfied, compared to 61 percent for email and 44 percent for phone conversations, giving chatbots a chance to boost satisfaction levels. Immediately answering questions, assisting in navigating an app or site, and facilitating the customer's goal all are benefits where chat can can increase brand loyalty. In the end, creating a strategy that allows customers to feel that they can trust the company, that their values are shared and their time and preferences are respected, and that engages customers with a compelling story, creates the kind of sense of community that can increase engagement and build customer loyalty.